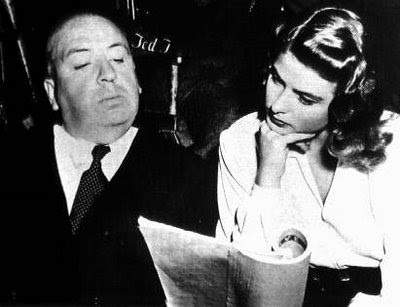 The Best of "Alfred Hitchcock Geek"
Hitch reading over Ingrid Bergman's shoulder. I wonder if he's reading over mine -- wherever he is. The Trouble with Harry: that's life! Why didn't Hitchcock Tell Ghost Stories? Hey Alexis - Thanks for dropping by and leaving those kind words behind. If you have any questions or comments, send them my way! Excellent (said in non-Bill & Ted-esque way)! Thanks for this synthesis of essential links, Joel! Luv the photo of Hitch and Ingrid Bergman (who's also a fave of mine along with Ingmar).